The heat has been turned up and I’ve been watching the kids run in and out of the sprinklers. Summer is definitely here. 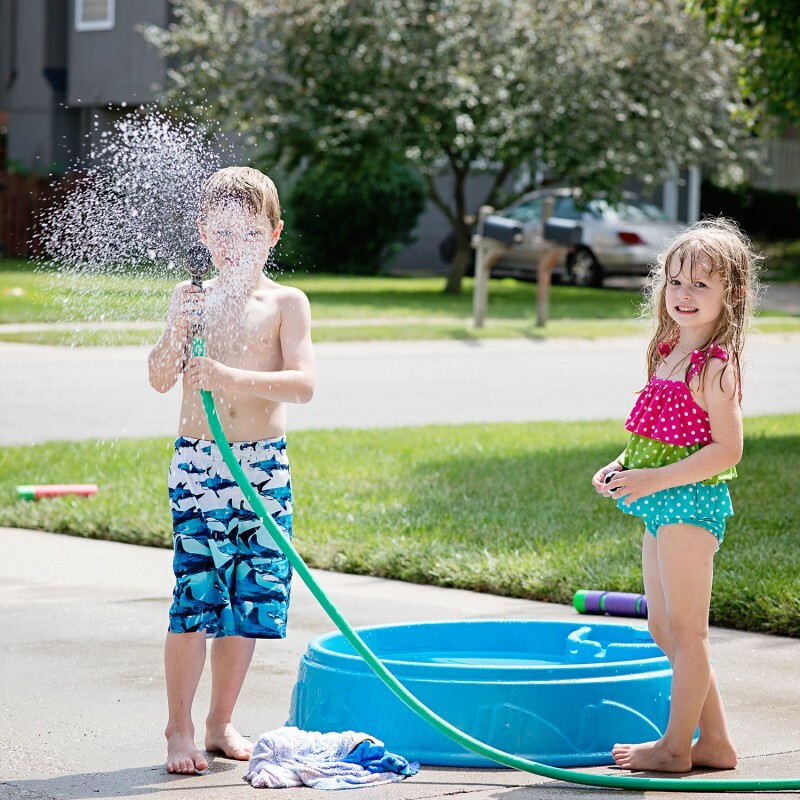 My kids favorite summertime activity always involves the hose. This means there is a hose on the trampoline, a hose filling little pools, a hose to wash their pretend cars and the water is running non stop. Ode to the rising water bill. 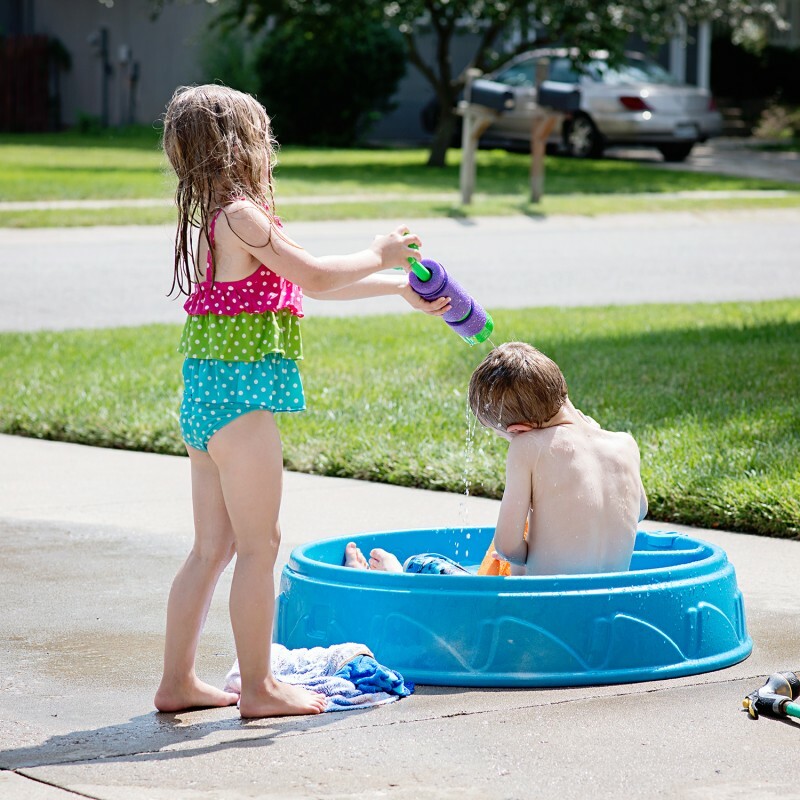 With the kids running in and out of the house, it’s easy to forget about sun protection. Lesson learned by my son, his peeling shoulders are showing the remnants of his first sunburn. He normally wears a UV rash guard, but decided to take it off without telling me. After that incident, I quickly made a trip up to the store. We are now stocked up on Banana Boat® sunscreen and protected for all of those in and out summer time moments. The midwest summer heat is hot and humid. Our days sit in the 90’s and it’s only going to get worse. With so many sun-filled days ahead of us, the demand for sun protection is high. Banana Boat® offers a wide variety of products for everyone in the family and we all have our favorite picks. 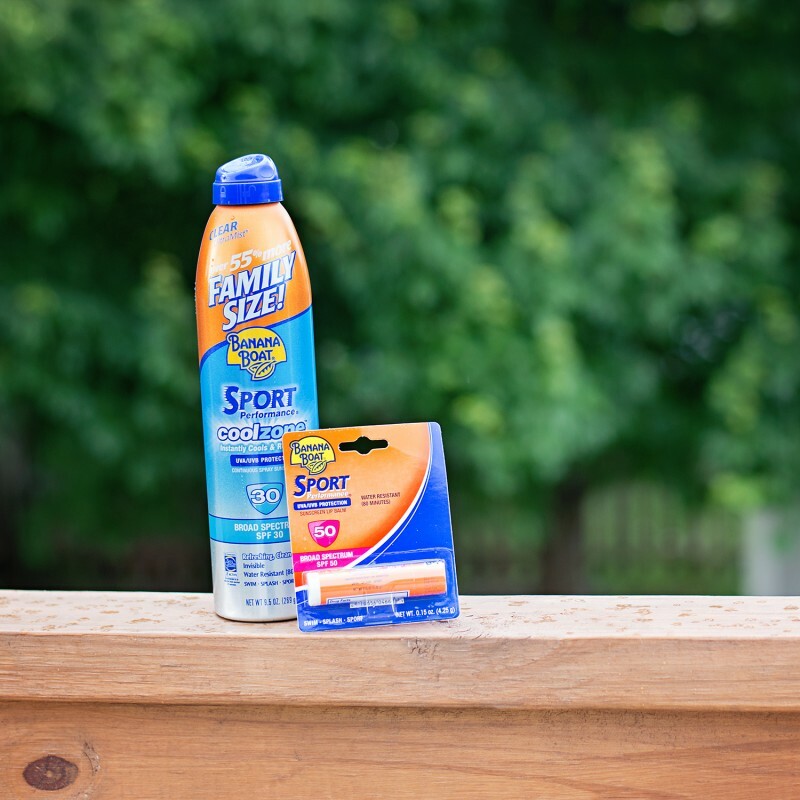 We picked out Banana Boat® SPORT PERFORMANCE® COOLZONE™ Sunscreens for those days when instant cooling is needed and I even grabbed some Banana Boat® SPORT PERFORMANCE® LIP BALM for myself. I’ve been dealing with non stop chapped lips, but never did it occur to me that lips could get sunburned! It’s easy to forget about protecting ourselves when our lives are so busy. My son now knows why it’s bad that he got a sunburn, not only because of the pain, because of the long term effects that sunburns have on our skin. Sunscreen does more than protect against sunburns, it protects against long-term effects that are not always visible, like skin damage and skin cancer. I’m becoming more vigilant about protecting our children’s skin, and my own. Next time you make a trip for sun protection products, make sure you add Banana Boat® to your list! Safe Sleep from the Start – HALO Bassinet & Swaddle Giveaway!